in response to Samuel Moyn's "Not Enough: Human Rights in an Unequal World"
Is the international human rights movement in crisis? Have leading human rights advocates focused too much on “naming and shaming” states into respecting civil and political liberties at the expense of strategies that could ensure greater social protections for those marginalised by global economic forces? Has their focus on civil and political rights led the groups to align too closely with the global elite, who are the beneficiaries of economic globalisation, at the cost of addressing the needs of the marginalised and underprivileged, by neglecting their demand for social and economic justice? Is the rise of the right in electoral politics a consequence of that, and should human rights groups bear some responsibility? In a provocative article in the New York Times, Yale University professor Samuel Moyn argues that the human rights community, if it is going to survive, must find ways to address the grievances of newly mobilised majorities in countries adversely impacted by changing global economic and social forces as well as those still facing repressive regimes and trapped in poverty. His bold charges are fleshed out in his new book, Not Enough: Human Rights in an Unequal World. Those of us who work in the field are first to say that human rights groups are not perfect, nor are we monolithic. But Moyn’s concern is too narrow, and his charge too broad. There is evidence that human rights advocates are increasingly sophisticated in addressing complex economic realities in ways that add value to experts in other fields working to promote broad-based economic growth and sustainable development. Human rights groups whose concerns have traditionally focused on civil and political (CP) rights have in recent years done important work on economic, social, and cultural (ESC) rights and set standards in fighting against inequality, and have deployed human rights strategies to fight for social and economic justice. Indeed, organisations like Oxfam and the Centre for Economic and Social Rights have campaigned for distributional fairness, deploying human rights strategies to address extreme poverty and inequality. Their campaigns have focused on austerity, tax justice, trade policies, privatisation, and calls for greater accountability of international organisations that regulate trade, economics, and finance. Some of their policy prescriptions are debatable, but the sincerity of their goal, to reduce economic inequality, is unquestionable. That progress should be built on, not overlooked. Moyn is right in suggesting that economic policies and their adverse social impacts have not always been a priority for some in the human rights community. Before the end of the Cold War, human rights groups (particularly those that originated in the West, such as Amnesty International (AI) - and Human Rights Watch (HRW)) focused on CP rights, and their targets were primarily countries in the Soviet bloc and the developing world. There were probably two main reasons for that attention to CP rights over ESC rights. The first involved the politics of the Cold War era. The second concerned the challenge of how best to ensure social protections such as health care, education and decent working conditions among others given vastly different country contexts. Cold War politics was a major reason why there is one Universal Declaration of Human Rights, drafted in 1948, but there are two covenants – on civil and political rights, and on economic, social, and cultural rights, (both adopted in 1966). That old divide between ESC rights and CP rights finally began to blur after 1989 when the Berlin Wall fell, and by 1991, foreign investment began flooding stock markets around the world. The World Conference on Human Rights in 1993 highlighted the principle of interdependence of all human rights. But at the same time, even more rapid changes in the global economy and the resulting adverse impacts on many people’s lives, including in rich nations, were also matters of growing concern. This could be seen in the “backlash against globalisation” at protests in 1999 at the Seattle World Trade Organisation meetings. It was also apparent in efforts to promote more responsible corporate behaviour, like those of Kofi Annan, as UN Secretary General, who called on business leaders to be part of a Global Compact. Human rights groups noticed the trend and focused more on the role of economic actors and policies, and their consequences, in the latter half of the 1990s. They weren’t blind to injustice earlier – they had seen groups demanding social justice, but they were not sure of the solutions. I was a researcher at Amnesty International from 1999 to early 2006, and was part of the internal debates and policy work to apply the organisation’s thinking to the changing world. 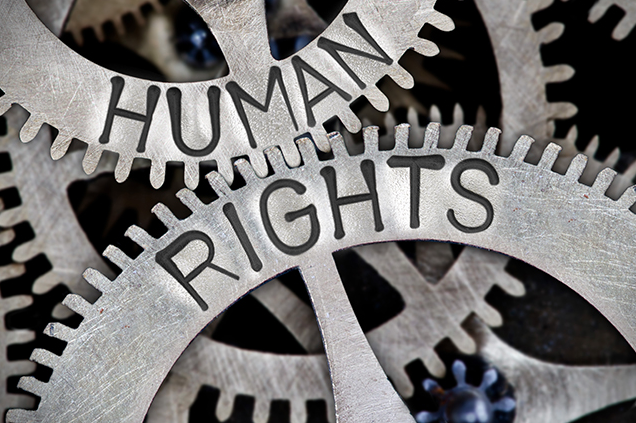 While all human rights are interdependent, human rights law recognises that states have limited resources, and therefore governments are expected to fulfil ESC rights through progressive realisation. Human rights methodology has focused on identifying violations, naming a violator, and calling for a remedy. As ESC rights violations are often systemic, applying that methodology direct to ESC rights poses problems, since there may be many violators, and proposed remedies themselves create consequences which could raise further human rights challenges. Realising ESC rights requires a concerted, multidisciplinary approach, and the law alone may not offer remedy. To be sure, human rights groups are not market fundamentalists – their apparent conservatism stems from them being true to human rights law, which does not prescribe one (or any) economic system to be superior over any other. It only says that the state has an obligation to respect, protect, and fulfil rights, and it should meet its minimum core obligations, and for that, devote maximum available resources to meet those obligations. Secondly, unlike aid agencies and development organisations which often must work with the state, human rights groups have had many reasons to distrust the state – they have documented state abuses for decades – torture, death penalty, arbitrary detentions, unequal treatment under law, disappearances, extra-judicial executions. How could a state which does all that be trusted to educate all, provide healthcare to all, or food for everyone without discrimination? Being sceptical about the state’s role is necessary, but it doesn’t mean the tasks have to be handled by the private sector. It is the reason why human rights groups have increased their scrutiny of corporations, large and small, and published reams of research, assisted victims and defenders to litigate, and lobbied at the UN and other international organisations to enshrine corporate accountability. Furthermore, both AI and HRW have produced several important reports on ESC rights, calling out the treatment of mentally ill in Eastern Europe, maternal mortality in the developing world, caste-based discrimination in India, attacks on schools in the Occupied Territories, treatment of migrant workers in Southeast Asia, environmental risks, forced evictions, indigenous rights, and other reports on deprivation of rights to education, health, food, and social security in many parts of the world. CESR has focused on many issues, including the impact of regressive taxes on the poor, and health care for migrants. Is that enough? Of course not. But does it suggest they are not concerned about economic inequality? The answer has to be an emphatic no. Human rights organisations have always fought against inequality in all forms. What they have not done is to take sides opting for one economic system over another, because, as the joke goes, the right is all about the exploitation of man by man; the left is its exact opposite. With the possible exception of a handful of countries, the world remains a rather unpleasant, unequal place for many people, regardless of the economic model pursued by the government. I grew up in socialist India; it wasn’t a happy time to be poor or middle class, and not everyone got rich by being honest. Since India’s economic deregulation in 1991, inequality has increased marginally, but tens of millions have risen from absolute poverty to relative poverty. In many other parts of the world, the poor continue to scrape together resources to pay for their children’s private education, or to send their loved ones to private health clinics, because the state has failed to deliver either universal education or universal healthcare. The poor in the developing world are marginally better off because of the great shift in jobs from the rich world to the poor world. The consequence of the world’s two most populous countries, China and India, embracing market-friendly economics has been significant restructuring in the rich world, with manufacturing jobs going to China and services sector jobs going to India. Other countries have also benefited at the expense of the industrialised world. That accounts for much of the anxiety in the rich world. Workers in Oklahoma and the British Midlands, Germany’s Rostock and France’s banlieues, have lost jobs to former rice farmers in Indonesia, Vietnam, Thailand, and Bangladesh. Granted, the jobs gained are not great, nor protected by unions nor paying minimum wage in many cases – but those may in several instances offer better security and income than eking out a living on a tiny plot of farmland, dependent on the vagaries of the monsoon. Those voting for hyper-nationalist, anti-immigrant parties are angry, but that anger is at least partly because of a loss of privileges; their anxiety is not only economic, it is also cultural. While globalisation’s cheerleaders oversold its advantages (‘win-win’), in reality there are winners and losers. Economic inequality feels unpleasant in rich countries but in poor countries it is coupled with absolute poverty and that can be horrendous. What can human rights groups do? Campaign for social protection and skills training which can help displaced workers retrain so that they are able to return to work. Advocate for practices that do not let marginalised and vulnerable communities slip through the safety net. Challenge economic choices that are ostentatious (building statues and airports instead of primary schools or toilets with sanitation). Support civil society. Extend opportunity for all equally, even if outcomes can’t be guaranteed. In dealing with ESC rights, the focus of human rights groups has been on the vulnerable, without getting drawn into ideological battles, and that’s a wise choice. Understanding the rage of the fearful workers in the rich world is important, but that does not mean giving credibility to the narrative they are embracing, because the narrative is divisive, destructive, and discriminatory. Moyn is right in challenging the human rights community, expecting it to do more and better. Human rights groups will have to reflect on the possible unintended effects of some popular campaigns before embracing them. For example, calls for greater taxes on the rich alone won’t help the poor realise ESC rights. The good news is that human rights groups are paying attention to these issues. They are keeping their eyes on the marginalised, the vulnerable, the destitute, and the poor – identifying policies that harm their rights and lobbying to change the policies and laws to prevent those violations. Human rights groups, along with other social justice groups, were right in challenging rich country subsidies (cotton in the US, agriculture in the EU) that harmed the poor. They were right in challenging the global pharma industry over access to medicine. Most human rights groups realise that economic inequality is a problem and acts as a major barrier towards realising human rights. Rather than placing faith in specific ideologies, they should focus on accountability mechanisms that can bend the powerful towards justice, so that development is based on inclusive growth that benefits all and protects the most vulnerable.